When most people think of employee benefits, they think of things like health insurance, vacation and other perks. In addition to these valuable programs, an increasingly important benefit for human resources departments to consider adding is tuition assistance. Given the country’s need for a highly-educated workforce, an education benefit is a timely and effective tool to integrate into your talent management program. We’ve previously covered a variety of methods for implementing scholarships and other college-aid programs. Here, we’ll delve into why one of those methods, a tuition assistance program (also known as TAP) can be a powerful addition. 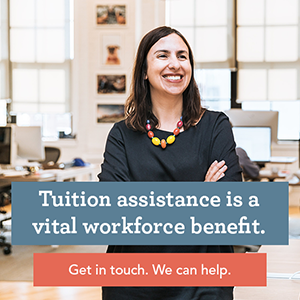 While organizations may have different internal names for their education programs, a tuition assistance program is generally an employer-provided benefit that helps pay for an employee to take education courses, depending on specific criteria that the employee meets. The financial assistance falls into two categories: reimbursement, in which an employee pays for a course upfront and then receives payment from the organization once the course is done; or prepayment, in which an organization pays for a course before the employee completes it. In both situations, there are eligibility requirements for employees to take part in the program. For example, an employer may declare what kinds of courses are approved for an employee to enroll in, or set a maximum amount of tuition that they’ll cover within a year. Why implement a tuition assistance program? The happier employees are, the happier the organization will be in attracting—and keeping—the right people for the job. 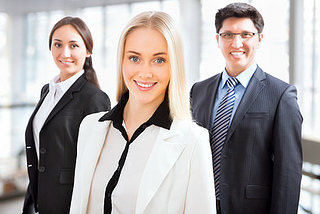 Develop employees: Whether an employee is brand new or is a seasoned veteran, a tuition assistance program allows organizations to recognize the need and opportunity to continually train and grow their staff. Having a tuition assistance program in place creates an intentional system to nurture employees’ skills. Given the right learning opportunities, employees can perform at an even more productive level. And when employees’ skills are upgraded, the organization gets a boost, too: as the Forbes article headlines, happy employees mean hefty profits. In other words, the mental and emotional wins of engaging employees can be just as great—or even greater—than the financial ones. Whether you’re a business, foundation or nonprofit, there’s an opportunity to tailor education programs based on your organization’s needs. Honing your employees’ professional and personal skills is incredibly beneficial—and a tuition assistance education program can be a prime opportunity to accomplish both.